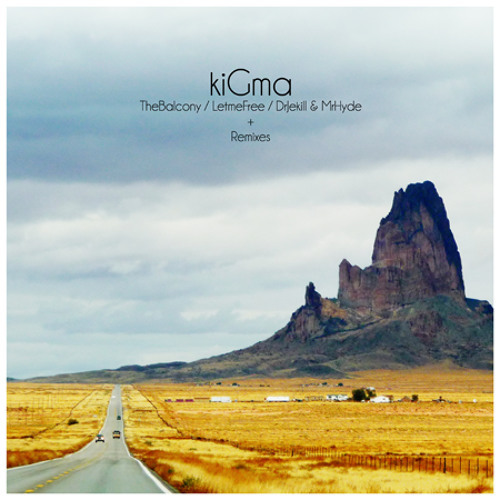 The Balcony is the name of kiGma’s latest EP, which contains six tracks.&#13; &#13; Boxon Records’ new protégé kiGma will be amazing you with the release of his first EP, a synthesis of his ambitious productions. Boosted with drum’n’bass and dubstep influences, this talented producer brings up a highly and novative electronica sound. As a true passionate of musical compostition, kiGma creates a universe where the machine turns more and more into a music intrument. His melodies, in which he's mixing different styles with a remarkable simplicity, shake like earthquakes the clubs he plays at. The big names of electro understood it very well, since the young artist has already been playlisted on two important radios : on Le Mouv’ (France) by Laurent Garnier, and by Bobby Friction on BBC Radio 1 (United Kingdom). To listen to kiGma, just go on : &lt;a href="http://soundcloud.com/kigma.&#13; kigma&gt;&#13; &#13; The EP, that will be released on September 26th 2011, includes the original tracks “The Balcony”, “Let Me Free” and “Dr Jeckyll &amp; Mr Hyde”, as well as a remix of “The Balcony” by DJ Antention and two remixes of “Let Me Free” (one by Costello and the other by Mainger).&#13; &#13; With the track "The Balcony", the listener is diving into deep water among basses and synthesisers. The electronic jigsaws of “Dr Jekyll &amp; Mr Hyde” attack his eardrums, before to be transported by the oneiric hymns of “Let Me Free”.&#13; Then, the album continues with three remixes. Dj Antention (Mako Records), a true music stakhanovist who has already been playlisted by Justice, starts the show. Thanks to a homemade processing of saturated keyboards, he's transforming “The Balcony” into an incredible journey. Then comes on Costello, a Young DJ who has been signed on Boxon Records for already two years, with a punchy remix of “Let Me Free”, boosting the beat per minute and building a track for the dancefloor. Last but not least, Mainger, kiGma’s partner within the dubstep and drum’n’bass collective Subdamalt, drops a calm remix of “Let Me Free”, that he's sublimating thanks to a bewitching piano melody.&#13; &#13; kiGma's upcoming shows :&#13; - September 16th at Total Heaven (Bordeaux) for the Boxon Vinyles Show /// Release Showcase&#13; - December 8th at iBoat for the BOXisON iBoat event with DCFTD /// Release Party&#13; &#13; ATTENTION : beautiful MASTER has been made by Benjamin Joubert.